Grundeep Hora has reviewed this mobile phone from Motorola, the KRZR K1. Now that Motorola has had just as much success with its RAZR line as Apple did with its iPod, Motorola is determined to take the product line one step further with a slew of new crazily named cell phones. These new models include two versions of KRZR, RAZR, and one model of RIZR. The KRZR is a thinner, possibly slimmer version of the RAZR measuring and weighing at 42x103x17mm and 103g, respectively. 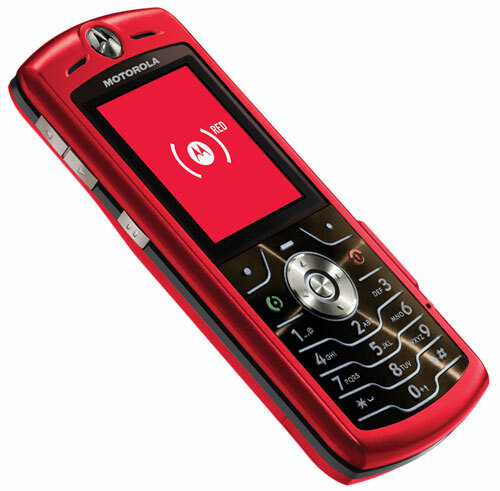 Sandra Vogel has reviewed this mobile phone from Motorola, the SLVR Red. The Motorola SLVR L7 Red is a decidedly average handset, though, and as such it may not have the broadest possible appeal. What I’d really like to see is Motorola take its affiliation with (RED) further, and put more of its handsets into the scheme. There are lots of incarnations of the PEBL, for example, so how about a (RED) one, as well as a (RED) RAZR? That’ll do for starters.